iClever is one of my favorite affordable accessory brands. Whether you’re looking for Bluetooth products, gaming accessories or something between, iClever is a dependable low-cost option for everyone. I was lucky enough to snag some new products from the company to try out and review. Here are my thoughts on those four accessories – something for everyone this time around. iClever’s HS20 gaming headphones offer 7.1 surround sound, noise cancellation, and an adjustable boom mic. These headphones were made for gamers, giving you an adjustable headband for comfort and leather earmuffs. The LED lights on the headset make it exciting to wear, as does the popping red it comes in. While the sound on the HS20 gaming headphones is great, these were too big for my head to wear comfortably. 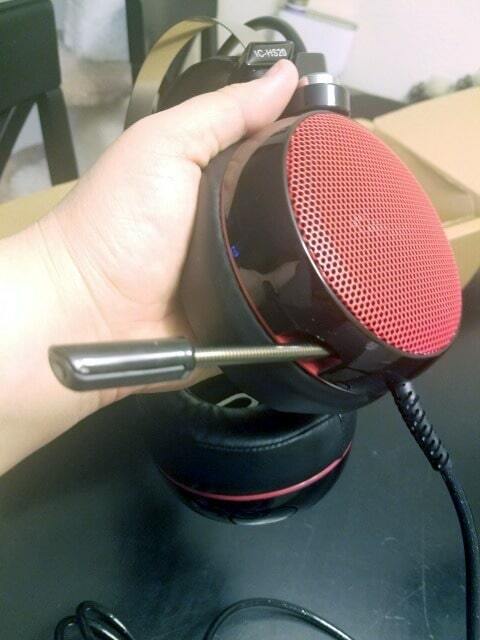 This nullified the noise canceling properties of the headphones, rendering that feature useless for me. However, this didn’t necessarily diminish the sound quality when gaming or grouping up with friends to play World of Warcraft. While these headphones won’t work for me, the quality and design would make them the right fit for those with a slightly bigger skull. Check out the HS20 Gaming Headphones here. As more consumers go wireless, they must find ways to make old technology merge with modern technology. This Bluetooth adapter iClever’s released allows you to turn old tech into Bluetooth capable tech, which is awesome. It’s small, lightweight, and offers both transmission and reception. With Bluetooth 4.1 technology, two-link sharing capabilities, and a charge that lasts upwards of eight hours at a time, this adapter will make life easier when you need to go wireless. 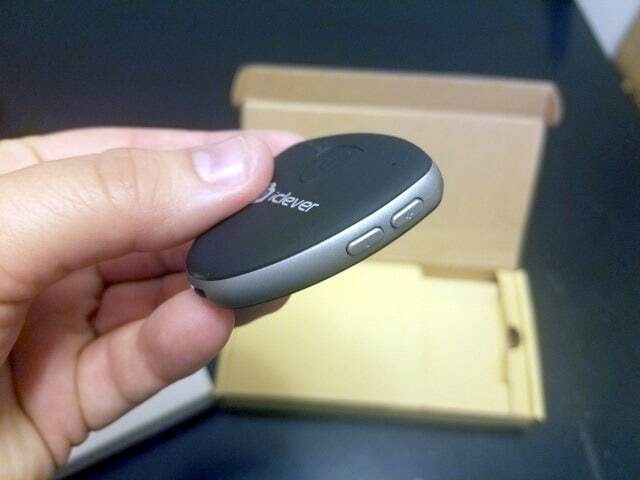 Pairing the iClever Portable Bluetooth Adapter can be a bit of a pain depending on how many Bluetooth devices you are using at a given time. Once connected, the smart technology of the adapter will pick up on that Bluetooth headset in the future, so it’s less cumbersome pairing when you want to use the adapter again. Overall, the latency is low and the only issue I experienced was when using my Avantree Bluetooth headphones with the adapter; once I began using my Bose QCs, I noticed very few sync issues. Check out the Portable Bluetooth Adapter here. Finding ways to power up on the go is essential for today’s consumers. 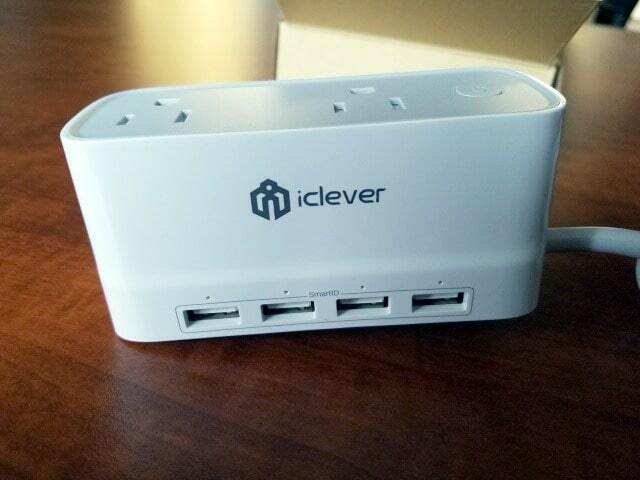 Being able to hook up multiple devices is key and the Portable Power Strip for Travel from iClever was designed. With two standard power plugs and four SmartID USB ports gives you the power you need on the go. Both standard power plugs are surge-protected, as is the device overall. I’ve been using my Portable Power Strip at work to charge multiple devices, including my HP Envy laptop, Tab Pro S, and Galaxy S7. I also use it to charge my coworker’s phones, my Bluetooth headset, and other mobile devices as necessary. It’s small, compact, and works well when charging multiple devices without issue or compromising the fast charging capabilities of my Samsung devices. Check out the Portable Power Strip for Travel here. 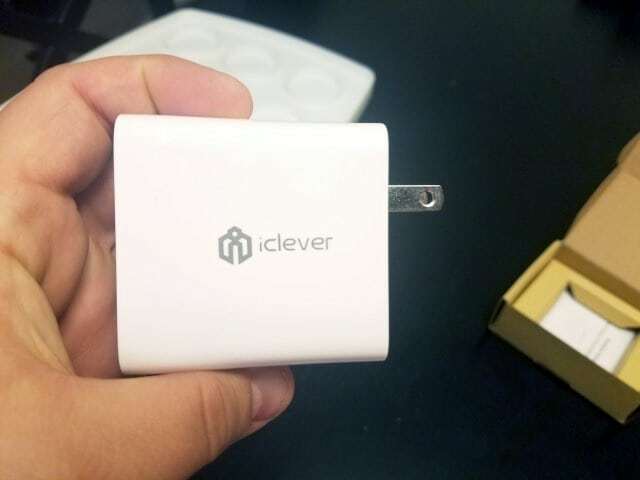 The iClever BoostCube+ is a travel-sized 2-port USB charger, offering SmartID and global volt compatibility for those on the go. The plug slides down into the device, making it a tad bit smaller to throw in a bag. This charger is easy to carry, optimizes the efficiency of what’s being charged, and allows you to charge two devices at once when out and about. Overall, the BoostCube+ does what it says it does. It can charge two Galaxy S7’s at the same time taking advantage of the fast charging capabilities of the device. It’s lightweight and compact, which makes it easy to throw in a bag and go if you’re away from home, at the airport, or elsewhere. Check out the iClever BoostCube+ here. Everybody has their brands. Whether it’s a big name one or something smaller, finding the right accessories for your lifestyle and devices is critical. Companies like iClever, Anker, Avantree, and others are revolutionizing the way consumers buy affordable accessories, Bluetooth devices, and more. iClever is doing things that excite me, and I hope they’re exciting you, too.